Engineering student Jean Fournier escapes the 1989 Montreal Massacre. But his life spirals downward as his feelings overwhelm him. 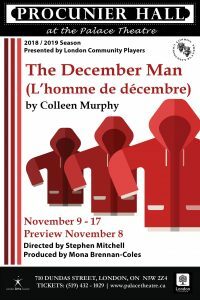 His parents, Benoît and Kathleen, are put to the test as they try to help their only son find a way to cope. The play takes us back through the lives of the fictional Fournier family and in so doing gives a poignancy to the words, fears, and jests we share every day without knowing how significant they may become. 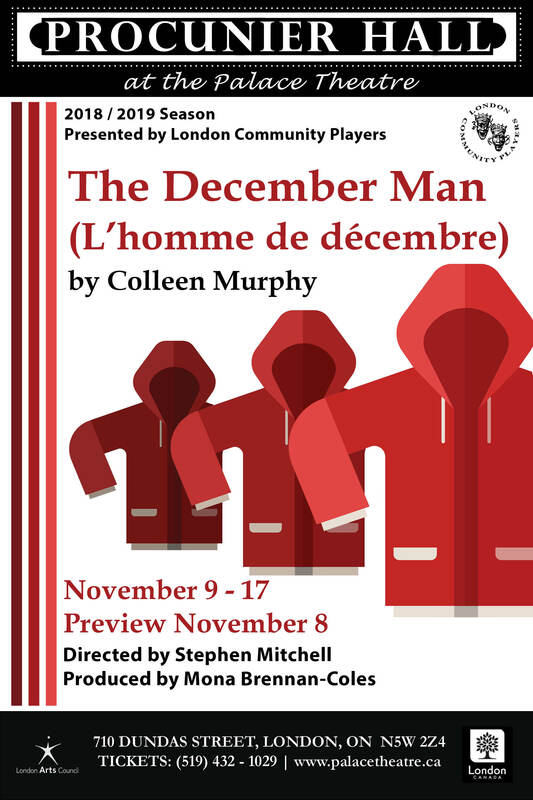 In simple and sensitive dialogue, The December Man (L’homme de décembre) examines our feelings in times of darkness. The depth of the Fournier’s love for one another will strike a universal chord.